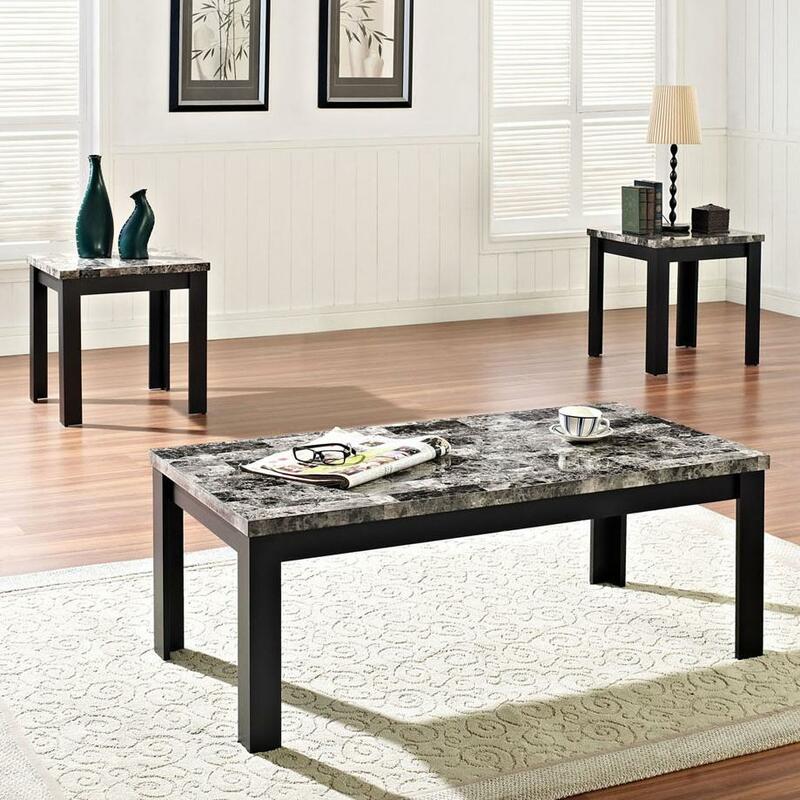 Give your living room the look of luxury with this three piece occasional table set. The set includes one coffee table and two matching end tables, each with beautiful faux marble tops for a look that exudes high sophistication. With simple block legs and a beautiful finish that enhances the marble's earthy tones, this three piece set brings you elevated contemporary style. The Finely 3 Piece Coffee and End Table Set with Faux Marble Tops by Acme Furniture at Furniture Superstore - NM in the Albuquerque, Los Ranchos De Albuquerque, Rio Rancho, Santa Fe, Corrales, NM area. Product availability may vary. Contact us for the most current availability on this product. 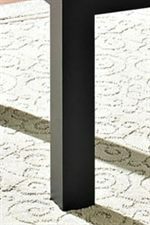 Finish & Paint Options Select items available in select finishes, including Espresso, dark Cherry, light Cherry, and Black. Handles & Hardware Doors are outfitted with small round knobs. Case Detail Block legs, frame molding on door fronts. Description: Top Items feature faux marble tops. Case Construction Made from Poplar woods and faux marble tops. Bolster your home decor with the sophisticated style of the Finely collection. Faux marble tops decorate each piece, offering the look and feel of luxury with a friendlier price tag. Rich finishes enhance the earthy tones within the faux marble, adding depth to the piece while maintaining a refined simplicity. The occasional groups present a sleek silhouette, ensuring your home looks distinctly modern, while the TV stand offers wonderful storage and stunning style for the best of both worlds. Functional and contemporary, the Finely collection introduces sophisticated style and modern storage into any home. The Finely collection is a great option if you are looking for Contemporary furniture in the Albuquerque, Los Ranchos De Albuquerque, Rio Rancho, Santa Fe, Corrales, NM area.